Artificial sweeteners make it possible to eat or drink something and have it taste sweet without the calories. They serve a purpose for diabetics and dieters. Snack-Girl has been asked many times which one she recommends. and I never have known what to say. Until today! Stevia, aspartame, sucralose, etc. offer you sweetness, but nothing else (except zero calories). What if you could have a sweetener that also gave you zinc and manganese? For a mere 17 calories a teaspoon, you can have maple syrup. And, get this, it is nutritious! Not the same way an apple is nutritious - but much better than table sugar. 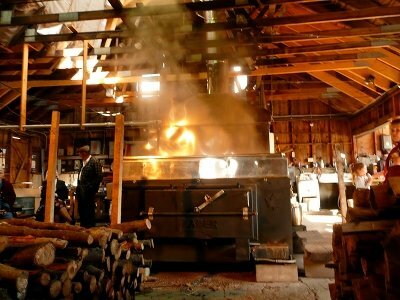 What I love about maple syrup is the minimal processing. It isn't refined like cane sugar. The process is simple and it yields an amazing product. At any rate, it is a natural product, most of it made by hand, and it is truly special. It is just "boiled tree juice" and when you are looking for a way to sweeten your food, I think it is a great choice. Maple syrup gives you nutrients for your calories, which is very rare in a sweetener. And, finally, if you didn't see: Three Reasons to Rethink that Diet Coke You’re About to Drink - give it a read. In the article, sucralose is discussed as a potential inhibitor to weight loss. Want to read about more snacks? 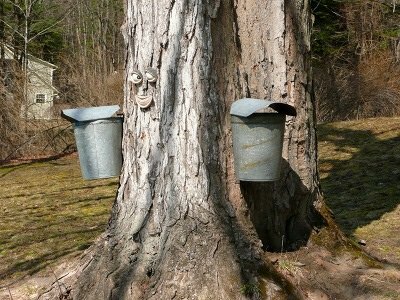 Love maple syrup! I try to use it in my baked goods in place of other sweeteners. I would never use artificial sweeteners. Yesterday Starbucks made my "treat" vanilla latte skinny and I could immediately tell. Yuck! I would have exchanged it except I didn't taste it until I was gone from the store. I ended up drinking it because I hate wasting food, but it coated my mouth with that nasty stuff and I felt a bit sick to my stomach. I'm not used to chemicals! 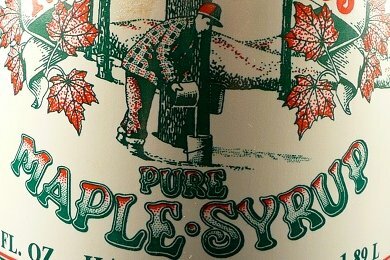 Love pure maple syrup..never have the fake stuff. It's pricey but you don't need much...it's amazing on waffles, pancakes, and even in oatmeal. I would say the same about raw honey, very nutritious!! I never use artificial sweeteners either. It's funny - I ate a "regular" yogurt the other day (it was an Activia strawberry thing) with artificial sweeteners, and YUCK. SO sweet. I'm so used to the natural sweetness of whole foods. If I need a sweetener, many times I'll reach for honey, agave nectar, or maple syrup. LOVE maple syrup, but it is expensive. Good thing you don't need much of the good stuff! As a Canadian, I definitely approve of maple syrup ;) Whenever a recipe calls for added sugars, I only use maple syrup or honey... it's still SUGAR, but at least it's a real (and unrefined) sugar with some health benefits. Artificial sweetners make me sick. Especially Nutrasweet. I get headaches, get dizzy & nautious. Agave is my natural sweetner of choice. I've completely eliminated all sugars from my diet with this little gem. dramaqueensmum - you are fortunate that your brain gave you a warning! Those symptoms you suffer from aspartame occur because aspartame is a neurotoxin that destroys brain cells. It breaks down to the same chemical composition as WOOD ALCOHOL. Public perception is that Nutrasweet must be safe because it's FDA-approved. But it was never scientifically approved as safe by the FDA. (Lab animals kept dying off in aspartame studies.) Donald Rumsfeld, then CEO of Searle, the manufacturer, pulled some strings in Washington to get it approved. You can look it up! It's also worth noting for diabetics that maple syrup is lower on the glycemic index scale than table sugar, and sweeter than sugar for the same amount of calories. Agave syrup has the lowest glycemic index and is also a good natural sweetener. I'm diabetic and use small amounts of these sweeteners instead of artificial sweeteners. As long as I don't go overboard on portions (I usually use about 1 - 3 tsp), I don't have a problem with them affecting my blood sugar. Thanks for this article -- I just read yesterday that one of my local farmers' markets has a vendor from PA supplying maple syrup. I was wondering about the nutritional value, but hadn't had a chance to check into it yet. I shoulda known I could count on Snack Girl to do the job! :) By the way, I really appreciated your piece on diet soda, too. I can kinda take 'em or leave 'em, but my husband has been an "addict" for decades. I showed him your article, and he did some further research and decided to kick the habit. We both love the fizz of carbonation, so we're choosing bottled naturally flavored, unsweetened seltzer water. He's now down to only ONE diet soda a day -- a HUGE improvement for him. It's especially hard for him since he doesn't care for coffee or tea. I've been sticking to those, or seltzer water, ever since I read your article. Keep up the great work -- we need you! Molasses has iron & folate (folic acid). "Just a tad" or a "wee bit", it does have a lot of sugar.